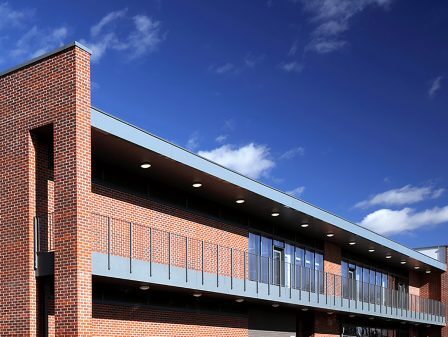 Watson Batty Architects were appointed to undertake a site masterplanning exercise and detailed designs for a new two storey clubhouse/community facility, single storey team changing building and new spectator stands. A complete modernisation of the existing Nethermoor Park Ground; home of National League team, Guiseley AFC. 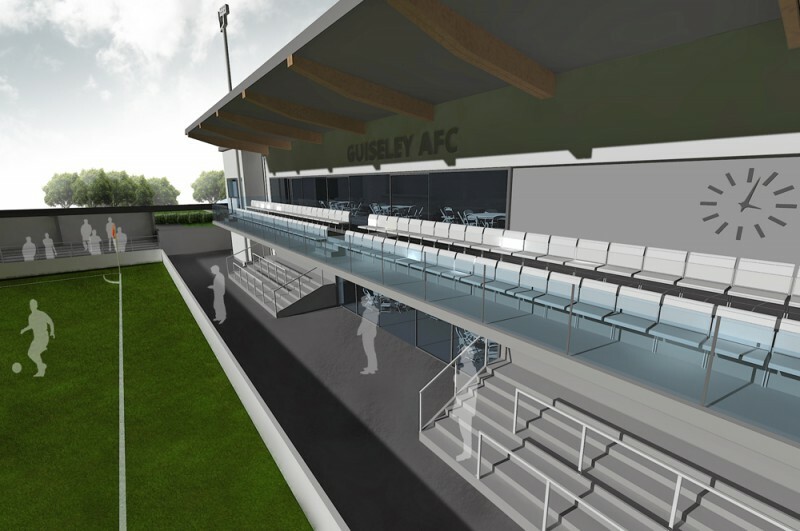 Watson Batty Architects were delighted to support their local football team Guiseley AFC with their exciting plans for the redevelopment of their existing Nethermoor Park ground. 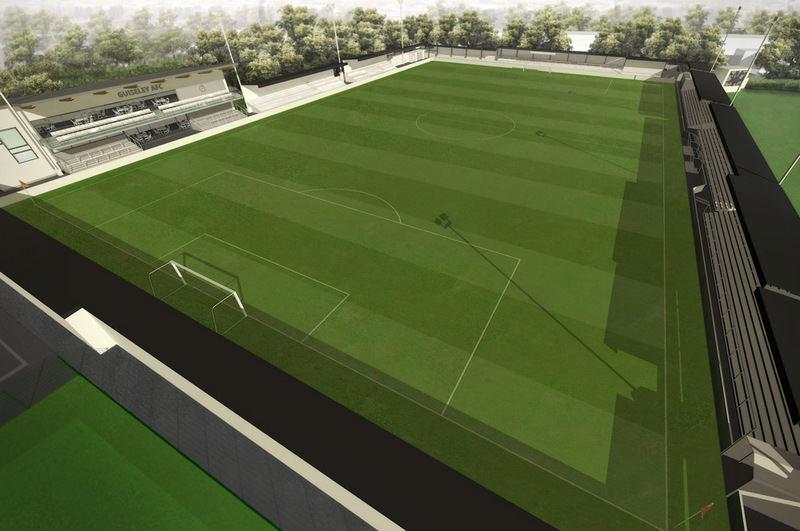 Planning permission was granted in late 2015 by Leeds City Council for a £2m redevelopment programme for the National League (FA Step 1) Football Club. 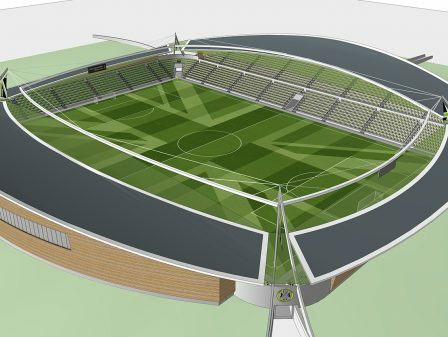 The proposals include new covered spectator stands, a new changing room facility, and a new two storey community hub building ensuring the ground requirements comply with the Green Guide to Safety at Sports Grounds requirements. 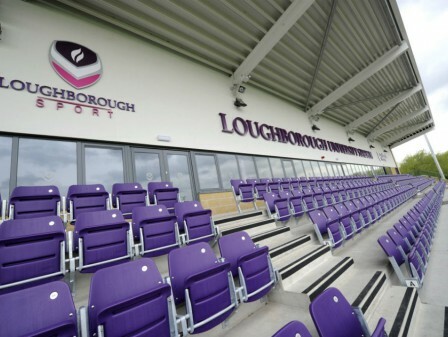 The redevelopment will increase the spectator capacity to 4000 allowing the Club to meet league requirements being just one promotion from the professional English Football League. The new plans represent a significant long term investment by the Club not only to support their football aspirations but to serve and benefit their local community. The new hub building will include a ground floor social enterprise café whilst on the first floor a multi-functional social space provides match day hospitality. 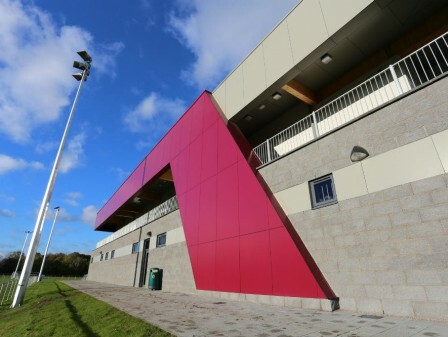 On non-match days the upper floor can be divided into three separate spaces with pitch-side views providing areas for learning, meetings, entertaining, and use by various local community groups and local schools. 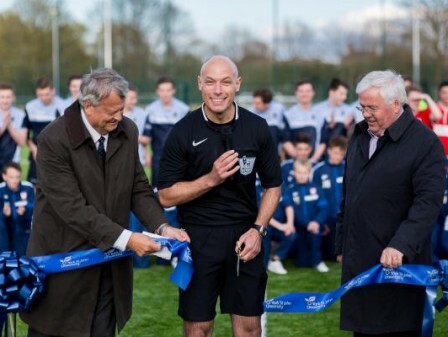 A number of established community groups, programmes and prominent individuals have already pledged their support towards the new development including AVSED, Action for Children, local MP Stuart Andrew, Leeds City Council and the Football Foundation.